The Helio bindings suffer none of the special problems we’ve encountered in other ultralight bindings. For this, they earn our Top Pick award. These are our favorite ultralight AT ski bindings. They are reliable, durable, simple, adjustable for different boots, and are widely available. The closest competitor we've used extensively is the Plum Tech Race 150. The Plum is really similar, except that we had one major issue with it that really tips things in favor of the Black Diamond Helio. For ultralight use, the Helio 180 earns our Top Pick award. The Black Diamond Helio 180 is a super light "skimo race" style binding for the masses. For many skiers in many situations, these ultralight all-around bindings are just the ticket. As compared to your "typical" tech bindings, some functionality and performance are limited. However, for many users, these compromises are worth the weight savings. A pair of these bindings is literally less than one-third the weight of the heaviest tech bindings available. Compared to the "typical" tech bindings we see people using, the Helio 180 is well under half the weight. 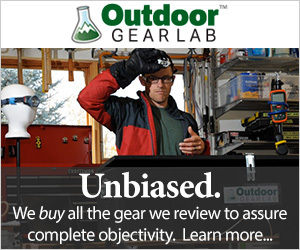 There are other ultralight bindings on the market, and we are working to test all those that are relevant and proven. Beautiful powder skiing with lightweight gear. When the snow is perfect, gear only needs to be adequate in performance. Lighter gear allows you to sample more of that perfect snow. In closely assessing AT ski bindings we have to look at a whole range of performance attributes. There are many different types of users and many different performance criteria. Most people will be looking at a variety of criteria in their shopping process. Our overall scoring rubric reflects this. However, we must acknowledge that there is a large and growing subset of the backcountry skiing population whose binding criteria are pretty simple: "What is the lightest binding I can get that holds my foot on the ski for touring up and skiing down?" Release characteristics, touring heel elevators, and boot-retention "elasticity" for this subset of the population simply aren't issues they concern themselves with. For them, the Helio 180 is the best choice. In fact, if you are one of those users and can commit to one model and size of boots for the life of your skis, the untested Black Diamond Helio 145 is the same as the 180 without length adjustment. Touring performance is related to, but separate from, weight. In assessing touring performance, we look at pivot range, propensity for icing, and heel lifters. The minimalist construction of the Helio 180 doesn't collect much ice and allows for full toe pivot range. However, there is only one heel elevation option. The heel elevator on the Helio 180 is roughly comparable to a lower version of most bindings' middle level. You can turn the Helio heel piece 180 degrees for a theoretical "flat on ski mode", but your boot heel catches on the binding with nearly every step. It isn't really a viable option. The touring performance of the Helio is roughly similar to that of the Plum Tech Race 150. Both have just the one heel lift level. Paired with lightweight, flexible boots and intermediate to advanced skinning technique, none of our testers have really noticed a huge issue with having just this one level. Of course, if you absolutely know that you need three heel lift levels, the Editors' Choice Atomic Backland Tour is a great choice. It is very light for a binding that has three heel lifter levels. Touring mode on the Helio bindings. When you turn the heel piece sideways your boot can reach the ski, but it binds against the long side of the silver u-spring. Users of the Helio 180 are generally non-discerning about the nuances of downhill performance. All that matters to these fans of the light and fast is that their boot stays on the ski. That is the case with the Helio. If you ski hard and fast enough to qualify for your own TGR film segment, you might notice some limitations to the Helio and you might need film crew and first aid on hand for the potential consequences of such energetic skiing in the backcountry. We definitely notice that the boot/ski connection is less robust with the Helio 180 than with the Marker KingPin or the Top Pick Black Diamond Fritschi Tecton. These other bindings have more elaborate heel pieces that push your boot down and forward onto the ski surface (essentially…) lending a more connected feel and performance. Additionally, these heavier bindings have greater range and function of their release characteristics than the Helio 180. With the Top Pick Helio you have to decide, at the time of purchase, if you want release value of 6, 8 or 10. Note, also, that these "release values" are not recognized by the DIN third-party oversight. The Helio is not certified in any way to release. It will release, but it is not certified to do so. The release value numbers can be roughly correlated to one another, but are not intended to be used like "DIN" numbers. The minimalist toe piece of the Helio does what you need it to without much complication. Simplicity generally correlates to "ease of use". In this way, the Helio is pretty dang good. Stepping in and out is no different than any basic tech binding. Your heel level choice is made for you; there are no brakes to ice up. Simple, reliable, and easy to use. It is in terms of ease of use that the Helio 180 edges ahead of the close competitor Plum Tech Race 150. While testing the Helio we had no issues with function. Early in our testing of the Plum Tech Race, we had one of the bindings become stuck onto a tester's boot. This tester literally kept the ski on his foot for over 10 miles of expedition exit and had to take the whole ski/boot/binding combination indoors with a hammer and punch to get it apart. There was no field fix possible. We had no such problem with the Helio 180. Otherwise, these two bindings are similar in many, many ways. Both are all metal, both are very simple and light, and both appeal to the fast and light crowd. The red flap on the top of the Helio heel simply prevents you from stepping down into downhill mode. This also serves to elevate your heel slightly while in tour mode. It is the only useful heel elevation option on these bindings. It is right in the name. These are super light bindings. The "180" refers to the weight, in grams, of one complete Helio binding. Our scales verify this. We weighed each of our tested bindings to be 181 grams, including mounting screws. This is ridiculously light. Out of the box, they seem more like jewelry or the parts to a miniature race car than ski bindings. Only the Plum Tech Race 150 (150g per foot) bindings are lighter. However, this comparison is a little off. From Plum, we tested bindings of fixed length. They also make a pair of bindings with the same working parts but on an adjustment plate. The Plum Tech Race 170 is adjustable for different boots and is 170g. The Black Diamond Helio 145 is the same working parts as the Helio 180, without the adjustment plate. Comparing apples to apples, we get conflicting results. For the fixed-length versions, the BD is lighter while between the adjustable versions the Plum is lighter. Basically, Black Diamond's adjustment plate is heavier than Plum's by 15 grams. This Top Pick winner is ultralight and is in good company among its peers. In our test, the remaining bindings are all quite a bit heavier. "Full function" bindings (featuring three heel risers, brakes, and adjustable release) are at least twice the weight of the Helio 180. Minimalist bindings are great for maximum skiing. If skiing is good, more skiing is better. For more backcountry skiing, lighter uphill gear. Save weight with the Top Pick BD Helio 180. We have had no problems with the Helio 180. 2019 is the first year of this exact model, which should raise some eyebrows. However, we know that the Helio 180 is simply Black Diamond's re-badging of the proven ATK brand bindings. In screening the market and doing our pre-purchase research, we learned that ATK bindings have a durability track record in line with other skimo race style bindings. We continue to test all the bindings in our review. Our rigorous use has revealed no issues with the Helio 180, but we will keep trying. The Helio heel piece in downhill mode. Simple. You can see here some of the range of adjustment available. Without the adjustment plate, the binding is lighter and a different color and called the "Helio 145". If your binding preferences are simple, your choice should be simple too. Go with the Helio 180 for ultralight, reliable performance. Heavier bindings will have more "bells and whistles" and will offer somewhat greater downhill performance and release value. However, we can say on real good authority that the Helio 180 will ski any terrain and condition you wish to tackle. Four springs in a toe piece used to be typical. Marker, with the Kingpin, ramped it up to six. BD/ATK cuts it down to two. (We also have the Marker Alpinist binding in testing now. Its toe piece only contains two springs). There are certainly less expensive bindings on the market. Our Best Buy winner, at retail, is more than $200 cheaper than the Helio. The Helio asking price is more in line with the real robust bindings we tested; per ounce, the Helio is super expensive. For each gram you save, though, the value might be pretty darn good. Essentially, if you want bindings like this, the Helio 180 isn't prohibitively expensive. If you can spare some ounces, the Best Buy will be far easier on the wallet. Your choice of these bindings is purely your own. Realize that there are some real limitations (release sophistication) and some not-so-bad limitations (heel lifters, brakes). Care in use will mitigate all of these issues. Amazon $431.21 - 25% off!